Of course, there's still time left in the season. If this were the end of the season tournament, maybe one of these teams would stumble and leave room for Boise State (ranked 7) or Houston (ranked 8) to have a shot at the championship. 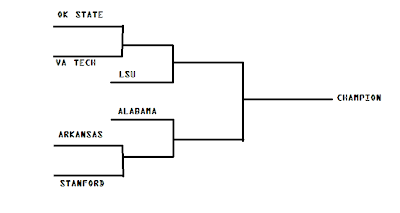 This is hypothetical, of course, but it sure seems more satisfying than a group of media members deciding whether LSU versus Alabama (part 2) would be more interesting or more worthy than some other match up that hasn't happened yet. 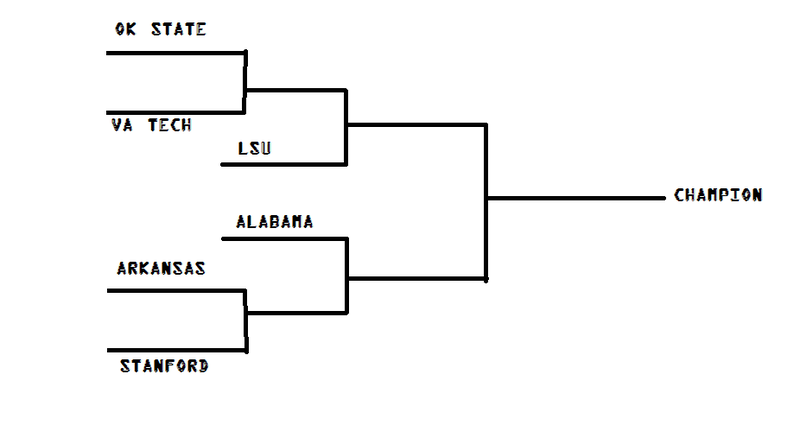 This plan would allow the use of all four BCS games and the championship game!